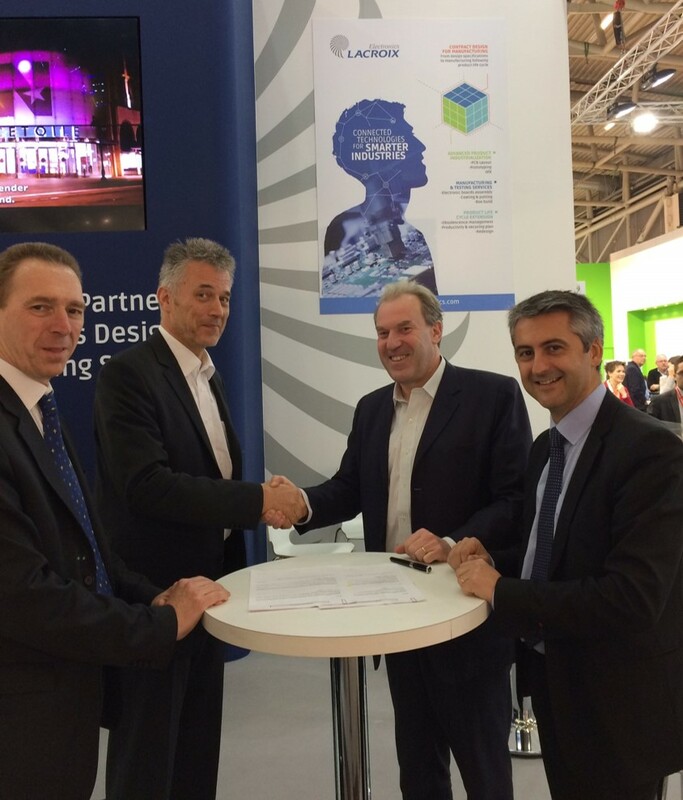 Munich, 9th November 2016: LACROIX Electronics and Witekio are formalising their partnership during the Electronica Trade Fair. This partnership enables the provision of “turnkey” solutions to clients incorporating expertise in the development and production of electronic assemblies. Within the context of its partnership programme, LACROIX Electronics brings together experts in various fields who enable it to offer innovative customised solutions to end customers while improving competitiveness and time to market. This programme also enables technical Expertise to be pooled and all-inclusive electronic solutions to be proposed. In January 2016, LACROIX Electronics had already incorporated MicroEJ into its partnership programme, the benchmark platform for developing smart connected electronic products, all based on low cost, low-energy hardware. The complementary expertise of Witekio and LACROIX Electronics, combined with their respective know-how, is being put to work for industrial IoT: Witekio brings its expertise in software development on complex embedded or connected systems (OS, firmware, applications, connectivity, etc. ), with LACROIX Electronics contributing to hardware development (electronics, mechanics) and the industrialisation through to mass production of devices in its factories in France, Germany, Tunisia and Poland. Within the context of this partnership, LACROIX Electronics has taken a particular interest in Witekio’s Linux development capabilities as well as its presence in France and Germany, two priority target markets for both partners. With Witekio in our Partners programme, we are creating a rapid, reliable, flexible, competitive and innovative team to develop complete industrial connected devices (hardware and software) that our current and future clients will want to offer to their markets. We are pleased with the collaboration between LACROIX Electronics and Witekio. Our complementary expertise will allow for new innovative projects to be developed for our clients’ IoT solutions and enable us to offer them an all-inclusive industrial solution from design through to mass production.